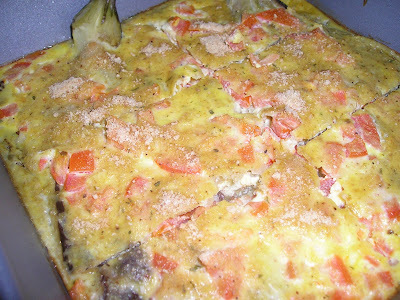 Tortang talong or eggplant omelet is very popular to Filipinos, it is a common dish that is commonly prepared. This is usually fried but I sometimes bake it to avoid too much grease and its healthier. Have you try baking eggplant omelet? It's good! I took this picture when we went to Changwon last Saturday. We visited the new City7Mall just to pass the boredom here in our place. Isn't this a pretty structure that Korean's built? 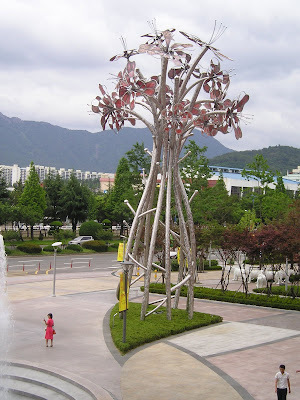 Korean people are very ornate and artistic when it comes to landscaping and decorating. Thanks for coming by folks!